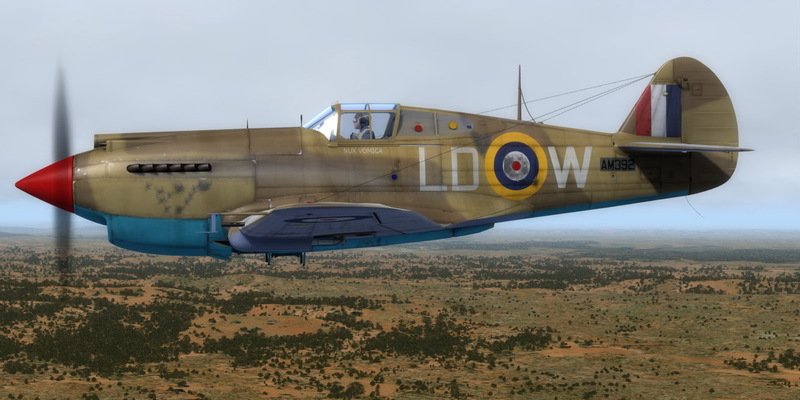 Description: This folder contains a repaint for the A2A Curtiss P-40B. It represents RAF Tomahawk IIB AM392 LD-W Nux Vomica of No 250 Squadron as flown by Sgt. Bob Whittle, Sidi Haneish, Egypt, August-October 1941.